Maintaining the right water temperature for your fish is necessary – although it can get tricky – especially during the hotter days. Heat doesn’t just take a toll on fish, it also depletes your water of oxygen. 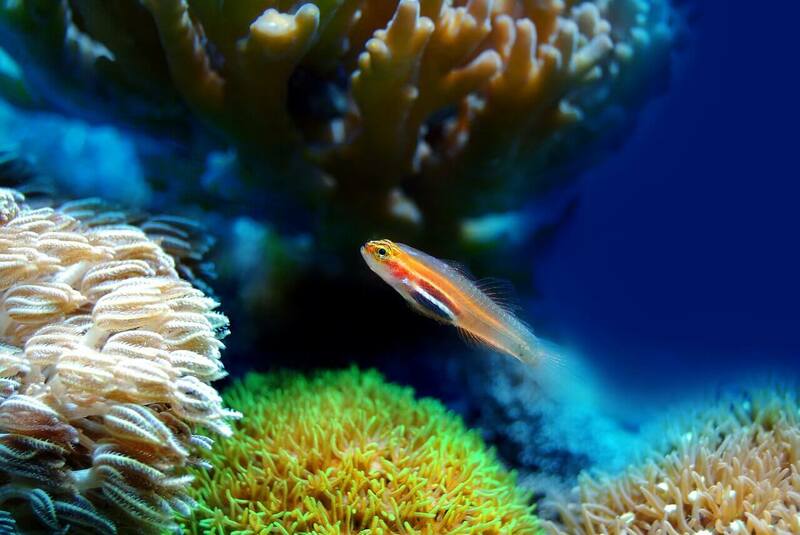 To ensure that your fish are healthy and happy, the temperature in your aquarium has to be stable at all times. Although a chiller is the most straightforward way to lower the temperature of your aquarium, aquarium chillers aren’t cheap. Luckily, there are other ways that can help you keep an aquarium cool. An aquarium thermometer is necessary in order to accurately track an aquarium’s temperature. 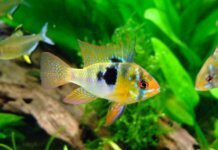 Although it won’t resolve the heat, it’s a very cheap piece of aquarium equipment that allows you to identify any potential issues at a glance. If you’ve made the mistake of placing your fish tank in direct sunlight, consider moving it before all else. Sunlight doesn’t just cause rapid algae growth – it can also greatly increase the water temperature. The ideal spot for your aquarium should always be in a cooler section of the room that has a good amount of shade. You should never keep the lights on for more than 8 hours a day. Too much light won’t just stress your fish – it can also heat up your aquarium fairly quickly. 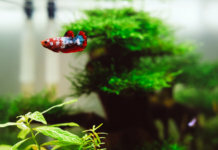 Most T5 and T8 bulbs generate a lot of heat – especially in smaller fish tanks. 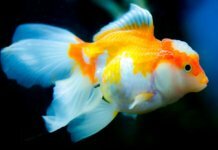 If the temperature in your aquarium is getting too high, consider switching the lights off temporarily to prevent the water from heating up further. The same goes for other heat-generating equipment which isn’t essential. Using fans is a universal trick everyone uses to cool down during the summer. Your fish will also be thankful for this. By directly blowing cool air onto the surface of your aquarium’s water, a fan can also lower the temperature of your aquarium. However, this isn’t very quick and can take some time. In 2018, the best way to keep an aquarium cool even during hot summer days is – a regular air conditioner. If your water temperature goes up regularly, consider investing in an AC. Unlike fans that just cool the water’s surface, an air conditioner cools down the overall temperature of a room – and costs about as much as an aquarium chiller. If you need to immediately cool down your tank, a common method is to place a sealed ice pack directly in the water. Some aquarists will even recommend placing an ice pack directly in your canister filter to make the cooling process more gradual. Although effective, we’d advise against this – the huge drop in temperature can have a negative effect on the beneficial bacteria located in the filter. Always keep ice secure and tight in a plastic bag when attempting this, and keep the ice water from mixing with your tank. Regardless of which method you opt for, make sure that the change in temperature from hot to cold is gradual. As you already know, fish don’t adapt well to drastic changes. By quickly altering any element in their living environment, this could lead to either stress, harm or even death. When the hot days arrive, plan ahead and take it step by step.